Christmas is only three weeks away from today. Wow! It's coming so quickly. As we head towards that day I've been slowly but surely getting my Christmas shopping done. It's always fun to have little extras or stocking fillers for the loved ones on your list. One of my favorite things that I've been introduced to this year is Sugru. 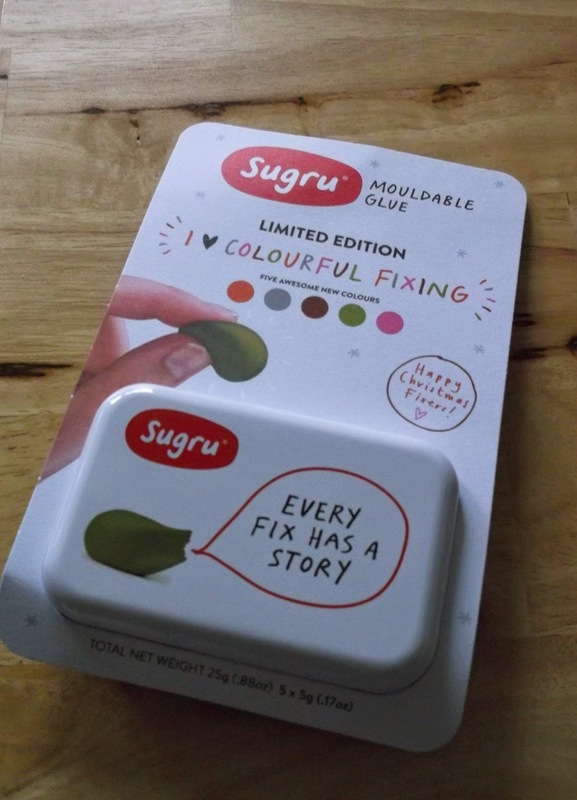 Sugru is the world's first mouldable glue which turns into rubber. It feels like play dough. It can be used to fix all kinds of things. I've written about this great product in an earlier post here. Recently I've received a packet with a variety of colors that I didn't have before. So when I'm fixing up things around the house, I'll have even more colors to choose from! Also, throughout December, the folks at Sugru will be sharing 24 neat ideas for how Sugru can help make the most of your home during this festive season. Take a look here to find out about all the cool ideas...some are techy, some are crafty and some are just downright clever! Disclosure: I was sent a sample of this product for review. All opinions are mine.